At Southern Cross Funeral Directors, we pride ourselves on the fact that we are with you every step of the funeral process. We offer fast and reliable prepaid funeral services, the most professional and compassionate. We service all areas in metropolitan Sydney, including St George, Sutherland, Eastern Suburbs, Western Suburbs, Campbelltown, Liverpool and everywhere in between; as well as Central Coast including Gosford, Woy Woy, Toukley, Wyong and Newcastle and as far south as Wollongong. Leader Migration Consultants is a reputed company in Sydney, provide immigration, Visa and Citizenship assistance at reasonable price. Whether you are a business or an individual, they explain all relevant legal requirements and if you are eligible, they prepare and lodge all required applications. Call now 0410 545 408 or visit online. With so many flooring options to choose from, deciding what to put down in your home, office or commercial space can be a difficult decision. The perfect floor can complement a look or inspire one altogether..
Every industry is growing rapidly and one of them is the retail industry. The growth is measured in many aspects but the most important one is reaching the potential audience and delivering them what they need. The biggest challenge comes to the retailer is cultural and language barriers across the countries. We are a very busy, friendly, family run business located in Coffs Harbour, NSW, Australia. Due to the difficulties of Autism and schooling we also homeschool. This means we have many educational and visual resources, that will aid in learning. We are one of Australias leading suppliers of educational and also special needs resources. Australian owned and operated company providing uniquely designed and manufactured, personal, safety tools. The purpose of the unique tools is to ensure high visability of individuals and groups when participating in adventurous activities outdoors. Highly visible signal sheets can facilitate location spotting if rescue is needed. GET SKILLED MIGRATION VISA IN AUSTRALIA NOW! Good News for Skilled Professionals! Government of Australia has initiated a new visa policy for skilled migrants. 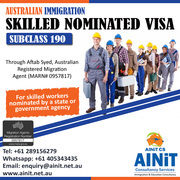 This is the best visa option for all the skilled professional wants to work in Australia. 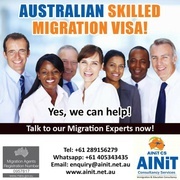 If you have the required skills and expertise you can get a skilled visa in Australia. This is now a great opportunity to avail for all skilled professionals. Every language has its own signs and gestures. The way of lying also varies from country to country. Lying in Foreign is not often you probably really think about whether someone is lying or not but if you do think about it there are some cues that indicate somebody may be lying. Perhaps they start to speak quickly, or even stumble when speaking. Offset Litho Printing Services Sydney. 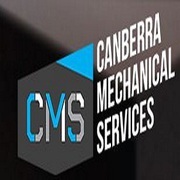 John Fisher Printing Provide an Outstanding Offset Printing Service in Sydney..
Operating out of Queanbeyan East, CMS (Canberra Mechanical Services) is a locally owned business and is here to help you with all your air conditioning and thermal needs. With energy efficiency in mind, CMS aims to help you find the right fit whether it's air conditioning installs at home or HVAC in the commercial space. Affordable Product Photography Sydney available at newtownphotography. newtownphotography.com.au provide our clients with high quality product photography suitable for eCommerce, websites, catalogues and any other marketing material. On time, on brief, on budget – our Inner West Sydney studio offers a full and efficient digital product photography service working to big and small budgets. Being vegan is the new black! Not only are the vegan products in Australia healthy, but also good for the environment and animals. So, what’s not to love? 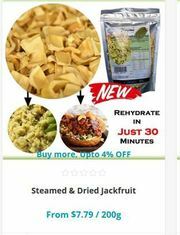 So if you are thinking about going vegan and looking for the best meat substitute used by vegans all over the world, Jackfruit emerges as the clear winner. Are you looking for a professional medical translation agency? You are at the right place "Medtrans" is a well-known and an established name for the translation of all kind of medical documents. We provide medical translation in more than 130 languages, for all types of medical documents like:- medical report translation, medical letter translation, medical device translation, medical insurance translation. Family Deals Weekly is a website where families can avail latest attractive family deals and lifestyle advice. The website’s large community ensures it’s able to get the best deals and discounts from businesses and companies all over Australia. We offer competitions and giveaways deals and offers We also offer business promotion, advertisement, business listing opportunities. Looking for residential painting services in Blacktown or surrounding areas? We’ll be happy to help you! BG Painting and Decorating offers superior quality painting services for residential which involves both interior and exterior painting. If you need residential painting services in Blacktown. Our 6 stage process ensures that your building will meet government and insurance company requirements and more importantly reduce the risk of a catastrophic event. Click here for an obligation fee quote. 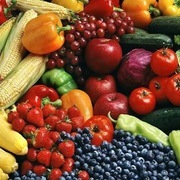 Website:	http://www.claddingcompliance.com.au/ Phone:	415504507 Email:	admin@claddingcompliance. newtownphotography.com.au is a Sydney based portrait photographer. The studio photographs people for various uses such as portfolios, websites, social media and personal use. Typically portraits and headshots are photographed on location or in the studio. Our clients range from corporates and professional people who need a headshot, to individuals, who want to capture a snapshot of their lives. a Timber Flooring Company just delivers floors that are synonymous with quality, development and architect offer. Our Timber floors are a definitive in polish and warmth for any home that reflect Lifestyle. Our reaches have been roused from our energy to create excellent deck..
Authorised supplier of Ski boats from Malibu and Axis as well as Fishing boats from Honda outboard, Northbank, and Tabs. Visit our show room in Prospect to view the latest models and ski gear available. At GRE Marine we maintain a fully equipped workshop with Malibu, Indmar and Honda Marine certified technicians who utilise the latest computer, on board diagnostic tools and equipment. Get Best Collection of Promotional Products at very reasonable prices in Workslocal. 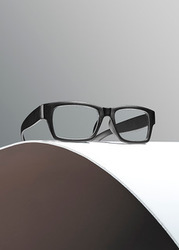 They offer multiple promotional products and delivers high quality. Their promotional products can also help you get attention, attract new customers, increase new business and improve customer loyalty. These products include several items such as clothing, office accessories, carry bags, school kits, caps and more. 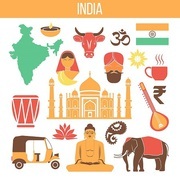 India is the second largest population of the world, filled with a variety of traditions, language, and beliefs but united by hearts which beats for their homeland. India has seen a rapid development in science and technology since Independence. Learn more about Indian food and India art: https://www. An Australian customs broker who specializes in customs clearing Green Cargo �. An Australian based freight forwarder that specializes in moving Green Cargo � Green Cargo � customs clears imported cargo Australia-wide. Rates as highly compliant by the Australian Border Force. Green Cargo �customs clears air and sea freight shipments which are arriving into Australia. KassyBrows is committed to helping you look and feel your personal best by providing the highest level of medical grade cosmetic procedures. Each of services is carefully designed to fit your unique needs. KassyBrows is Certified Permanent Makeup Artist. Offering services in eyebrow microblading, feathering, shading technique and lip tattoo. The real choice when it comes to turning your architectural design into an architecturally designed custom home. Contact us now on 0431 388 059 so we can help you transform your vision into a home. Shellharbour NSW 2529 Australia 04 3138 8059 https://www.smartbuildsouthcoast.com.au/. Eat smart and enjoy your foods. Save your time. Reach Karina for a healthy eating diet plan, which consists of delicious dishes that keep diseases at bay and help maintain a healthy weight.. Safe And Secure is one of established shredding companies in Sydney metropolitan area. It was established by Armand Elbanna after seven years of hands-on experience in the document shredding industry, has dealt with organizations in the vicinity of Sydney metropolitan area. The security of your documents, computer media such as CDs, DVDs, hard drives or USB sticks etc is of the highest priority as that is what we do best. At Liv Sydney, we offer 1, 2 and 3 bedroom serviced apartments perfect for people looking at short term accommodation. Located near the Market City Shopping Centre and other trendy complexes, Liv Sydney is one of the largest in Sydney. For more information, please contact us via email livhotels@gmail.com. Create custom decals for your vehicle windows with our printing services. Signmaker Solutions offers high-definition car window stickers printing service that ensures that your artwork is brought to life with stunning quality, while a vast range of customisation options help you adapt them to your needs and budget. Other services Sydney ads Sydney, Other services classifieds Sydney, Other services free ads Sydney, ads for sale Sydney, ads to buy Sydney, FREEADSAustralia Page number 9-1. Find here ads for sale, to buy and rent in Sydney. Goods for sale in Sydney, vehicles for sale in Sydney, Sydney real estate for sale, Sydney property for sale, property for rent in Sydney, business ads in Sydney, Sydney business classifieds, services in Sydney, Sydney services ads, jobs in Sydney, pets for sale in Sydney, Sydney dating, Sydney cars for sale.